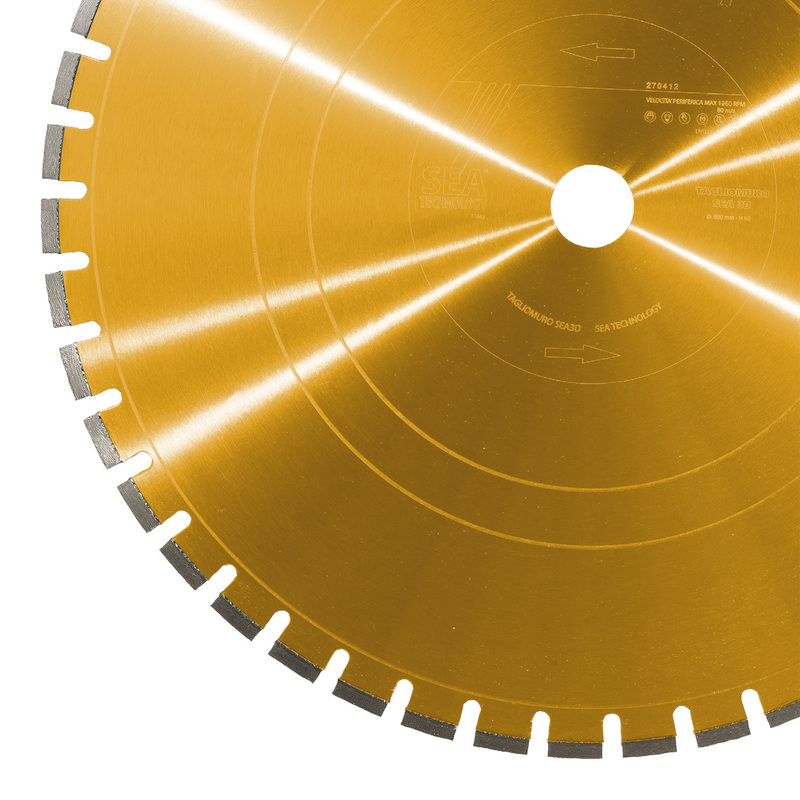 This wall cutting blade comes from the evolution of taglio muro 5. This tool is indeed produced by using 3D Sea technology, that is the diamond three- dimensional positioning during sintering of diamond segment, this allows a complete regularity both in cut speed and performance which are top in this item. It’s suitable for any type of wall cutting machine.